The BOLZ-SUMMIX conical screw dryer is a vacuum contact dryer. 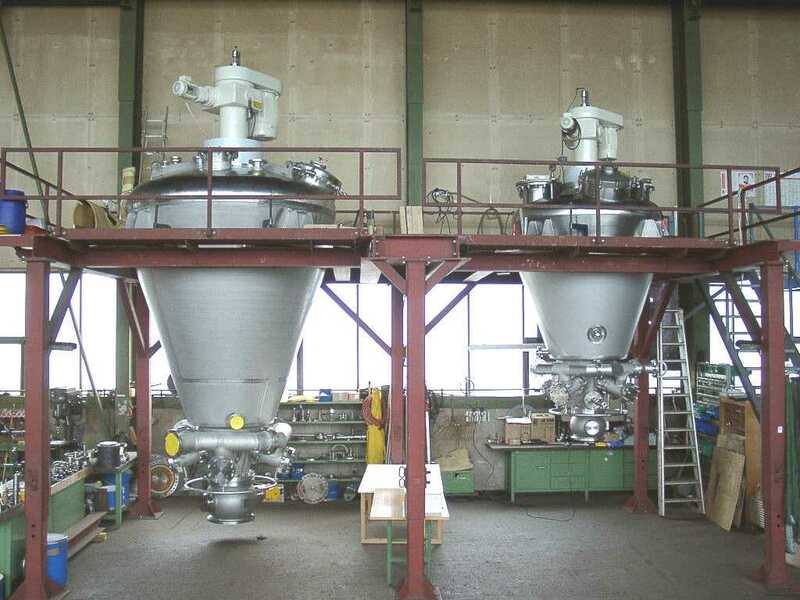 Due to its contained closed system and indirect heating of the product it is particularly suited for drying hazardous and toxic products to a very low final moisture content. 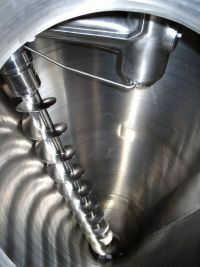 As a result of its unique, very gentle mixing character, even mechanically sensitive products are not destroyed. The product quality after the drying process is reproducible and as good as that of the initial product, whereas the driving forces required are very low. The achievable, high endvacuum ensures low drying temperatures which is a clear advantage when drying temperature-sensitive products. It also ensures good heat transfer rates and short drying times, while at the same time requiring only little energy. The short drying times and the high containment level of the fully closed system make the conical dryer the best choice in instances where environmental and/ or product requirements are strict and remarkably high. 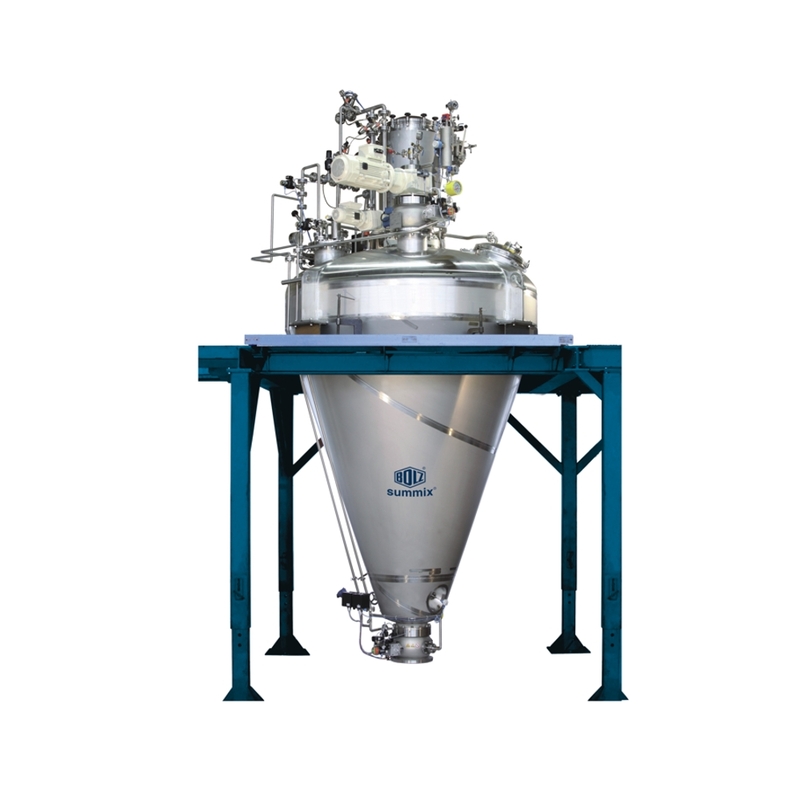 High process flexibility in the range of drying, mixing, homogenizing, re-wetting etc. From single- or multiple lip seal assembly to dry, gas-purged or liquid quench, non-contact lift-off mechanical seals. Preferred in a safe and quick change cartridge design.